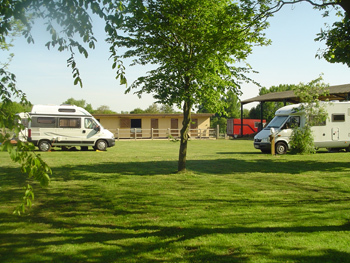 Waterheath Campsite is a Camping and Caravanning certificated site (members only) situated in Aldeby on the Norfolk/Suffolk border near Beccles. The campsite has a full range of facilities including 15 amp electric hookup, shower and toilet, washing machine. Aldeby is in a quiet rural area squeezed into a triangle bounded by the Rivers Yare and Waveney. The campsite is within easy walking distance of 2 pubs and is ideal for walking and cycling but also a great base for exploring the surrounding area. Below are some local places well worth a visit. We are open from Easter to the end of September. Telephone or email for availability and rates. 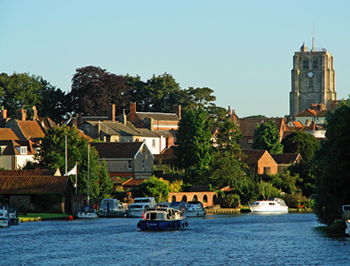 Beccles – an eighteenth centure market town sited on the River Waveney. Beccles is the largest town in the Waveney area on the southernmost point of the Norfolk Broads. It is an ancient market town once home to Saxons and Vikings. There are fine local shops where you will find local produce and a market. Suffolk Coast – Suffolk has 40 miles of heritage coastline almost all of which is set in an area of outstanding natural beauty so there is a feeling of peace and tranquility even in the height of summer. The rich and varied landscape from the coastal towns and resorts to the rolling farmland offers a wonderful variety. 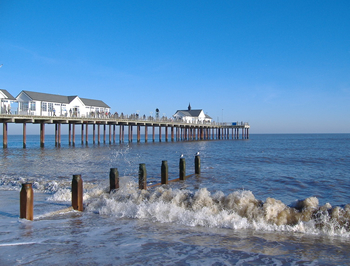 Southwold is one of the most popular resorts on the suffolk coast surrounded by creaks, marshes and reedbeds and flanked by the Blyth estuary. To enter Southwould is to enter a seaside resort reminiscent of the 1920’s. 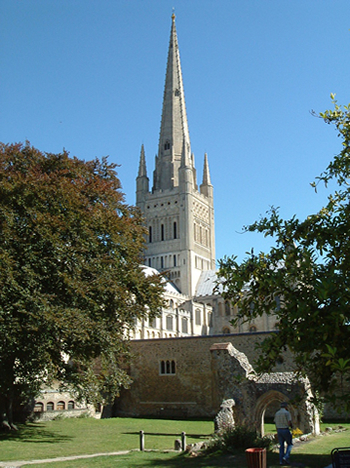 Norwich – The most complete medieval city in Gt. Britain has everything you could desire of a vibrant regional capital. Dominated by a magnificent cathedral and castle it is one of the UK’s favourite cities and also one of the top 5 places to shop. Explore the intricate network of winding streets and over 1500 historic buildings, from the splendour of the Norman Cathedral and Castle to charming Elm Hill with its timber framed houses. Gt. Yarmouth – 15 miles of golden beaches. From seaside beaches to rugged cliffs, the serenity of Scroby Sands windfarm and seal colony to the fast pace and action of Marine Parade. 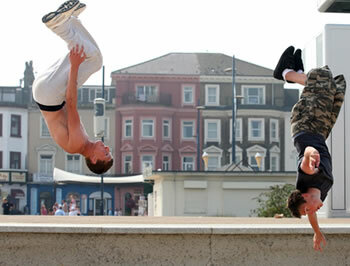 With restaurants, crazy golf and great shows there is something for all the family. 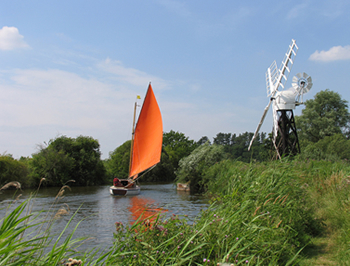 Norfolk Broads – The character of broadland has changed very little in the last 500 years. It is a labyrinth of waterways in gentle countryside, each broad having its own character. Altogether there are 40 broads linked by a network of rivers and channels which combine to create a unique area of 200km of lock-free waterways with plentiful wildlife. Access to the broads with boat hire is only 3 miles from our campsite.